provide long term benefit to the Geelong Botanic Gardens and community. The Fund was established by the Committee of Management following the completion of the Eastern Park and Botanic Gardens Master Plan (1995). The Fund has enabled people who enjoy and value the Gardens, to express their appreciation. This includes our members, the wider Geelong community and visitors. With the establishment and development of this Gift Fund, projects and programs for the Geelong Botanic Gardens can be continually supported. Your gift will enhance the beauty of the Geelong Botanic Gardens and will also help to secure the continuing relevance of its collections, facilities, education and public programs. Donations can be made to the FGBG Gift Fund using credit card, cheque or money order. Cheques and money orders should be made payable to: Friends of Geelong Botanic Gardens Gift Fund. Please contact the Friends' Office for further information. 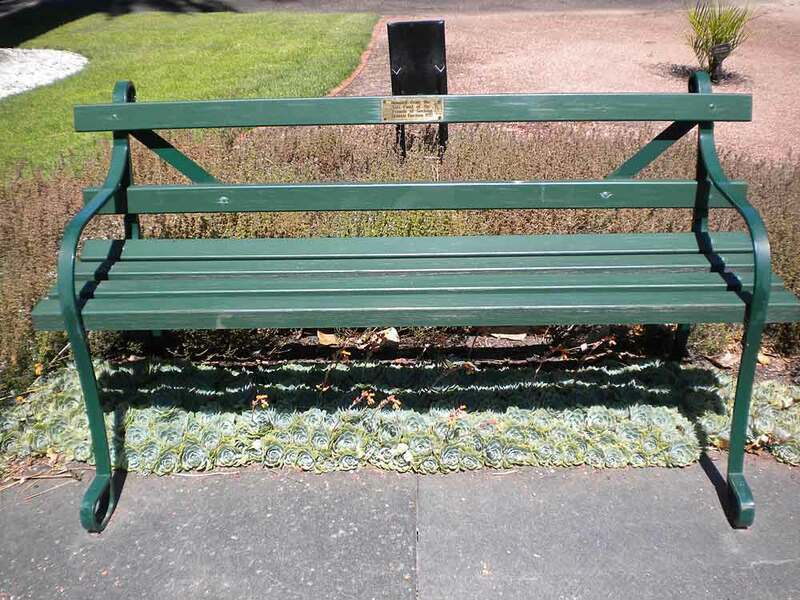 In 2011, six new bench seats were installed in the Gardens for visitors. These were provided by the Gift Fund.